On occasion, our site’s stories are picked up by other media outlets or our site makes the news for another reason. Here are some examples. • “Among Giants: Minnesota Athlete Overcomes 70-Plus Surgeries To Join State’s Greats,” a SportsFeelGoodStories article on St. Paul athlete Thomas Bowlin, was selected as the cover story of Yahoo Sports’ online magazine, “The Post Game,” and was featured on the home page of Yahoo.com. • SportsFeelGoodStories.com was selected as a “Top 10 Youth Sports Blog for Parents” by Blogs.com “The Best in Blogs.” Amongst those joining SportsFeelGoodStories.com in the Top 10 Youth Sports Blogs for Parents are Prep Rally (USA Today), Youth Sports Nation (Positive Coaching Alliance), and Title IX Blog. “…I was knocked back in my seat with emotional tugs at my heart. Tears streamed down my face as I read the story about the softball player who hit her only home run of her career and torn her ACL; I was touched to hear about how she was able to make it around the bases. • SportsFeelGoodStories.com’s Editor Mike O’Halloran was interviewed by Mickey Hiter on the Athletes Parent Show on the Zone (the Sports Station) in Nashville, Tennessee. • SportsFeelGoodStories.com was one of 5 sites profiled as useful youth sports sites in Bill Gosse’s “Youth Sports” column in the Green Bay Gazette, Appleton Post-Crescent and other Gannett Wisconsin Media newspapers in Wisconsin. • SportsFeelGoodStories.com was featured in Gene’s Blog on Tommie Sports. Gene McGivern is the Sports Information Director for the University of St. Thomas in Minnesota. • SportsFeelGoodStories.com’s Editor Mike O’Halloran was interviewed by Greg Kamp for the Youth Sports Now radio program out of Rochester, New York. 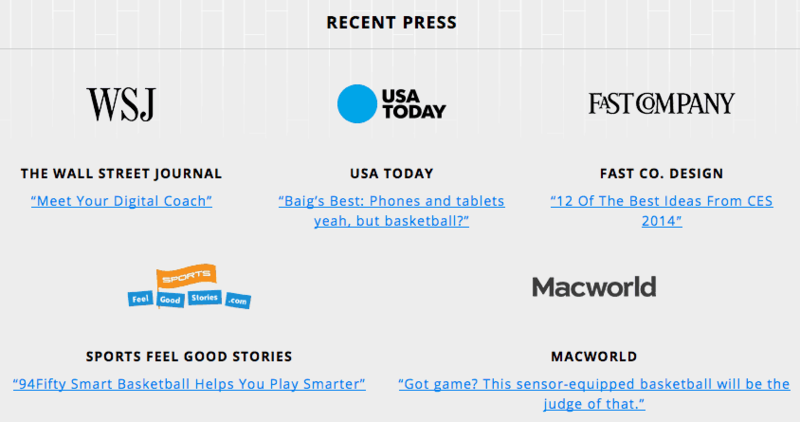 • SportsFeelGoodStories.com’s review is in good company at the 94Fifty basketball site. • Selected as a “100 Great Sites for Coaches” by Sports Management Degree. Sports Feel Good Stories showcases inspirational sports stories that focus on good deeds, overcoming obstacles and sportsmanship.The site is also a resource for sports quotes, slogans, sports team names, product reviews, book excerpts, coaching and sports parenting articles. Whether it's a football quote or a basketball slogan, we've got you covered.